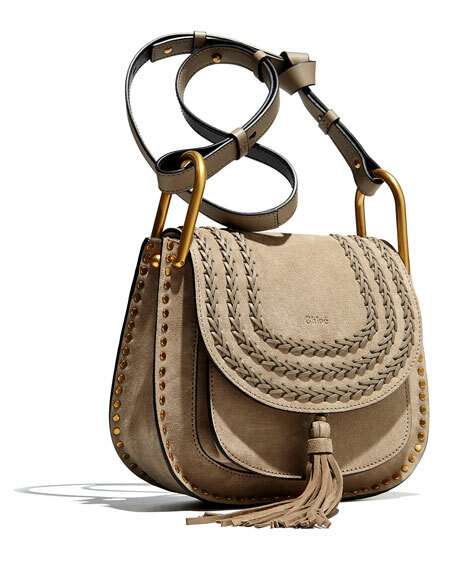 Chloe suede and calfskin shoulder bag with brass hardware. Studs frame exterior of horseshoe-shaped body. 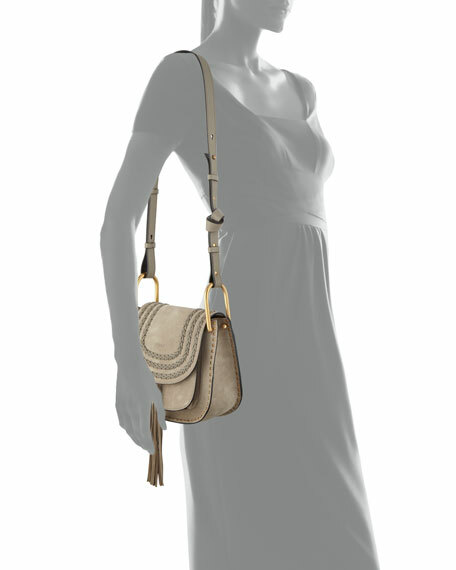 Adjustable shoulder strap with large U-shaped rings; 20" drop. Woven detail and logo embossing on flap top. Hidden magnetic closure; suede tassel. Pocket under flap; interior pocket. 8.7"H x 8.9"W x 3.2"D.
"Hudson" is made in Italy. For in-store inquiries, use sku #1775784.